Have you noticed excessive dust or black streaks on the supply registers or on the ceiling or walls around them? 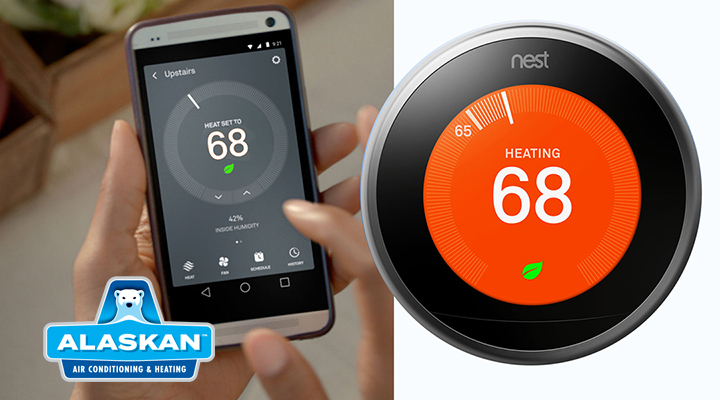 Or, do you see wisps of dust coming from the vents every time the A/C or heater comes on? Is there a grimy coating on the grilles of the air registers that you can’t wipe clean? 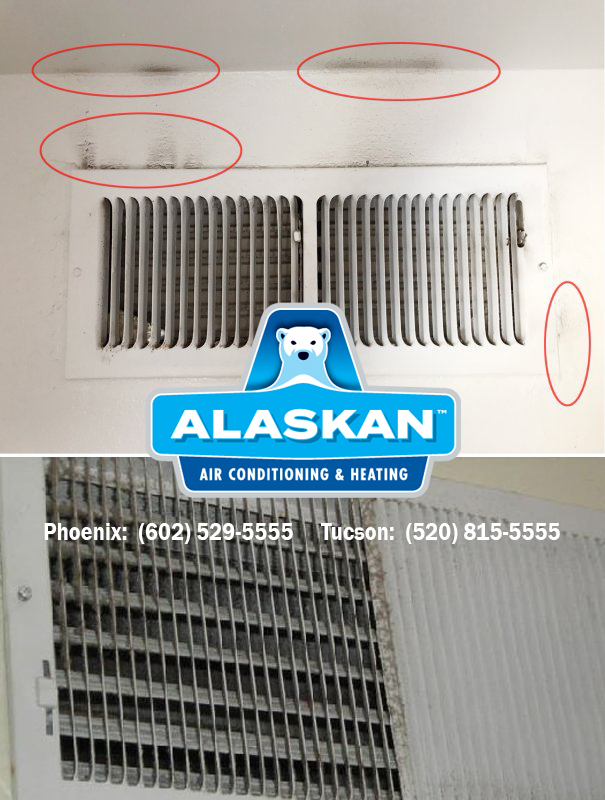 If so, this might indicate you have a problem with your air ducts that requires immediate attention.Regular air filter changes and preventive maintenance is an Arizona home’s best defense against added build-up of dirt, dust and allergens in the air ducts. Twice a year, the HVAC system should be cleaned and inspected by the professionals at Alaskan Air Conditioning & Heating. 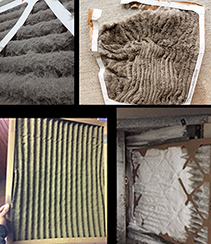 At each one of these appointments, our technicians will change your air filters and evaluate the amount of dirt, dust and grime that is visible. At that time, we may recommend a duct cleaning. Duct cleaning doesn’t need to be done every year, but when we see these sure signs of an excessively dirty duct run, it is time!A Bigger Issue Quick and continuous build up of too much dirt and black streaking is a sign of a bigger problem. We can inspect the HVAC system — and some distance into the ducts – with our cameras to see if there is something else going on in there. Duct leakage may be causing this problem. If that is the case, we will recommend Aerosealing the air ducts. Aeroseal seals the holes in the duct work that are inviting excessive dirt and pollutants into your air ducts and ultimately entering your living (and breathing) spaces. Aeroseal also helps you save on your utility bills because you aren’t losing cooling to holes in the ductwork.If you suspect you have too much dirt in air ducts or that you may duct leakage, try wiping them clean with a wet rag and seeing how soon dirt gathers again. But, if you have sticky residue, then you may have a moisture problem that needs to be evaluated and remedied right away. 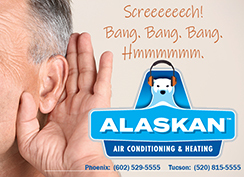 Our duct cleaning and Aeroseal services can help clean the air ducts and seal the holes in the ducts that are leading to too much dirt, dust and grime accumulating on the vents and invading your living spaces.Call Alaskan Air Conditioning & Heating, Phoenix and Tucson’s air duct specialists, and we’ll inspect your air ducts, supply registers and heating and cooling system to properly diagnose any issues that may need cleaning, sealing or repair.To schedule, call us at 602-529-5555 in Phoenix, Mesa, Tempe, Scottsdale and surrounding areas or in Tucuson, call 520-815-5555. Visit https://www.alaskanac.com/air-duct-service/ to learn more about our duct services.